DIN Standards are invented for a variety of components including industrial fasteners as DIN 610 Hexagon Fit Bolts. 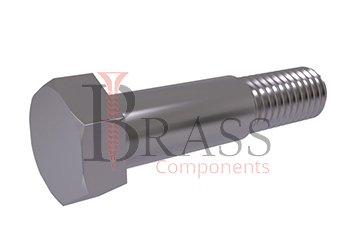 DIN 610 Bolts are manufactured from carbon steel, steel low alloy, stainless steel type a2 and a4 as well as brass. DIN 610 Bolts are available in a wide range of sizes, shapes and materials. Ground Shoulder Shank with tolerance field. Available with Short Threaded Stud. Strength Class 4.8, 5.6, 8.8, 10.9. Hexagon Fit Bolts with Short Threaded trunnion and hex head. 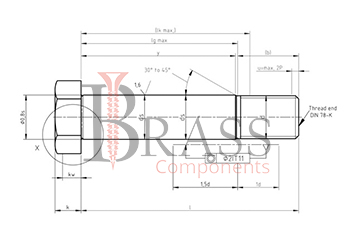 The Shoulder Shank with Tolerance field is generally combined with bore tolerance H7. There is no need to use clamping pins with conventional screws. The Countersunk head does not have splines for transferring the torque which enters the body of the part flush with surface. Through the Screw Connection or fasten the layers of work pieces to one another. Designed to screws into holes from under the sweep. Provide maximum safety for smooth operations without breaking down. For Mounting Attachment with parts moving along with the base surface. We manufacture DIN 610 Bolts as per Custom Specification and export in Germany, Spain, Netherlands, Portugal, UK and other European Countries. For more Information, Please Contact Us or Inquiry Now.